Invisalign, like the name suggests are invisible or clear aligners that gently help move and re-align the teeth without the use of traditional braces. Invisalign is intended for people who find the idea of a mouthful of metal braces and brackets too difficult to digest. Although the aligners are removable (for eating, drinking certain beverages and brushing/flossing), they must be worn at least 20 hours a day in order to reposition the teeth successfully. They are to be replaced every 2 weeks as your teeth adjust and re-align and by the end of the treatment you will have the beautiful smile you always wanted. 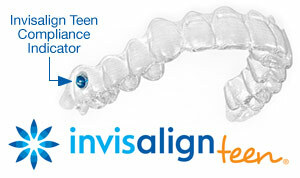 Looking for Invisalign for teens? Click here. For more information on Invisalign® in the Winnipeg, Manitoba area call Dental Designs today!